The study, published as a comment piece in this week’s Nature, reveals that almost half (45%) of the vast areas that countries have pledged are set to become plantations of commercial trees, a move which will seriously reduce expected carbon uptake and prevent agreements to curb climate change being met. To meet 1.5C requires rapid emissions cuts and removing carbon from the atmosphere. The international community is striving to restore 350 million hectares of forest, an area slightly larger than the size of India, by 2030, to do just this. The 43 tropical and sub-tropical countries — where trees grow fast — have signed up to restoration commitments, many as part of the Bonn Challenge that aims to restore 350 million hectares of forest. Together, those countries, which include Brazil, India and China, have already committed to restore 292 million hectares of forest. Using long-term carbon sequestration rates for natural forest, plantations and agroforestry, the researchers show that restoring natural forests over 350 million hectares of land removes 42 billion tonnes of carbon by 2100, whereas using current pledges for plantations (45%), natural forests (34%) and agroforestry (21%) applied to the whole area reduce this to 16 billion tonnes of carbon by 2100, assuming that all new natural forests are protected. And if commercial monocultures were planted across 100% of the area just 1 billion tonnes of carbon is sequestered. Co-author Dr Charlotte Wheeler (University of Edinburgh and formerly of UCL) said, “The reason plantations are so poor at storing carbon is that they are harvested every decade or so, meaning all the carbon stored in the trees goes back into the atmosphere, as the plantation waste and the wood products – mostly paper and chipboards – decompose. The scientists recommend that the definition of ‘forest restoration’ excludes monoculture plantations, and propose four ways to increase carbon capture from today’s forest restoration schemes. Firstly, increase the proportion of land being regenerated to natural forest; second, prioritise restoration in Amazonia, Borneo and the Congo Basin, which support very high biomass forest compared to drier regions; third, build on existing carbon stocks by targeting degraded forests for natural regeneration; and fourth, once natural forest is restored, protect it. A full list of country restoration commitments is in Supplementary Information Table S1, and carbon implications of the national plans and scenarios is in Table S5. Forty-three tropical and sub-tropical countries have pledged 292 million hectares under forest restoration (87% of global restoration commitments). Twenty-four of these countries have detailed the type of restoration (196 million hectares, 67% of the pledged area), showing 45% new plantations, 34% new natural forest, and 21% new agroforestry. The research is funded by Natural Environmental Research Council Open CASE Award to S.L.L. and C.W. C.W and E.M were funded by the UK Space Agency grant ‘Forests 2020’. Simon Lewis, Charlotte Wheeler and colleagues. ‘Regenerate natural forests to store carbon,’ will be published in Nature online on Tuesday 2 April 2019 and in print on Thursday 4 April 2019. Images are available here. Please credit as below. Restoration opportunity map across 43 tropical and sub-tropical countries. Data source: Minnemeyer, S., et al. Bonn Challenge: A World of Opportunity (World Resource Institute, 2011). 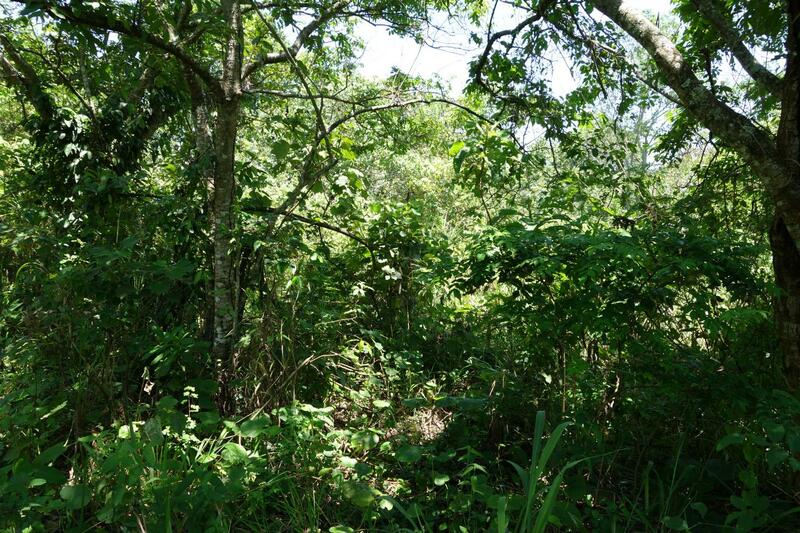 18-year-old naturally regenerating forest (exclusion of fire, some planting of native species) in Kibale National Park, Uganda. The forest supports elephants and many species of monkey after just 18 years. Credit, S. Lewis. UCL was founded in 1826. We were the first English university established after Oxford and Cambridge, the first to open up university education to those previously excluded from it, and the first to provide systematic teaching of law, architecture and medicine. We are among the world’s top universities, as reflected by performance in a range of international rankings and tables. UCL currently has over 41,500 students from 150 countries and over 12,500 staff.